Rockville real estate located is just west of Springdale and the entrance to Zion Canyon in Zion National Park on SR-9. It was originally settled in the 1860s by early Mormon settlers who were trying to set up cotton growing areas here. 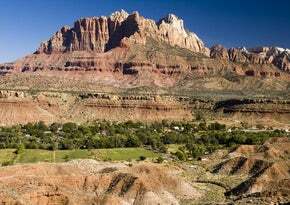 Now, it is a bedroom community that welcomes millions of annual visitors who come to see Zion National Park.